Abstract: Most of the professional football clubs in China are sorely invested and controlled by a company and clubs run under the titles of the investors. Those Chinese football clubs are more like subsidiaries of their investing companies. This ownership type is a double-edged sword that club can grow very quickly under the capital support but also faces risks of unsustainable and even dissolution. The recent example is Tianjin Quanjian FC that club was taken over by the government due to the illegal business practices of its investing company Quanjian Group. The club that entered quarter-final of AFC Champions league in 2018 is now trapped in chaos and facing uncertain future. Chinese Super League (CSL) clubs like to announce news like new player signing during the Christmas time as a gift for fans. However, what fans of Tianjin Quanjian received during 2018 Christmas was a terrible and worrying news that the owner of the club Quanjian Group has been exposed for false marketing and pyramid selling scam. In the following two weeks, Quanjian Group was investigated by the government and the chairman Shu Yuhui was arrested. As a result, Tianjin Quanjian FC was taken over by local government and changed the title to Tianjin Tianhai FC. The quick collapse of Quanjian FC is a shock to the Chinese football industry and it leads to the thinking of the unique type of club ownership within Chinese football. Quanjian Group is a healthcare company that was founded by Shu Yuhui in 2004 and based in Tianjin City. The company stepped into football industry in 2015 when they sponsored Tianjin TEDA FC, the only CSL club in the city then. However, after the acquisition attempt of TEDA FC failed, Quanjian decided to establish their own football club. On 7th July 2015, Quanjian announced their acquisition of the second division club (League A) Tianjin Sonjiang FC and founded the Tianjin Quanjian FC. Quanjian FC adopted the ‘Money-Ball’ policy since its acquisition and soon they have signed China national team players such as Sun Ke and new foreign players including Brazilian striker Luis Fabiano. In the following season 2016, the club won the League A title and successfully got the promotion to CSL. Entering the CSL encouraged the Quanjian to invest more in the transfer market and club signed high-profile players like Alexandre Pato and Alex Witsel in the January transfer window of 2017. According to Transfermarket, Quanjian spent over £67 million in the 2016/17 transfer markets which beat transfer spending of many Premier League clubs that season such as Southampton FC (£55m) and Watford FC (£64M). In just 2 years, Tianjin Quanjian FC has equipped themselves with a very competitive squad that was made up of well-known foreign players and Chinese national team players. It also caused high salary expenses to the club. In the Global Sports Salaries Survey 2018, Quanjian FC is ranked in top 200 of average player pay, among many Big-Five leagues’ clubs such as Fiorentina, Cardiff City and Werder Bremen. However, the ‘money-ball’ policy and ‘luxury’ squad paid off. Quanjian FC finished at third in their first CSL season in 2017 and secured AFC Champions League qualification. In the latest season, although Quanjian FC struggled in CSL (finished at 9th) they broke through into the quarter-final of AFC Champions League which was a very impressive result for their international competition debut. It is widely believed that Quanjian FC will continually have strong capital support as their investor promised. In fact, after disappointing CSL performance in 2018, the club has signed Korean coach Kang-heui Choi with an annual salary of $8 million to lead the team in 2019. However, although the words of Shu Yuhui on football investment can be trusted, the products of Quanjian Group cannot. 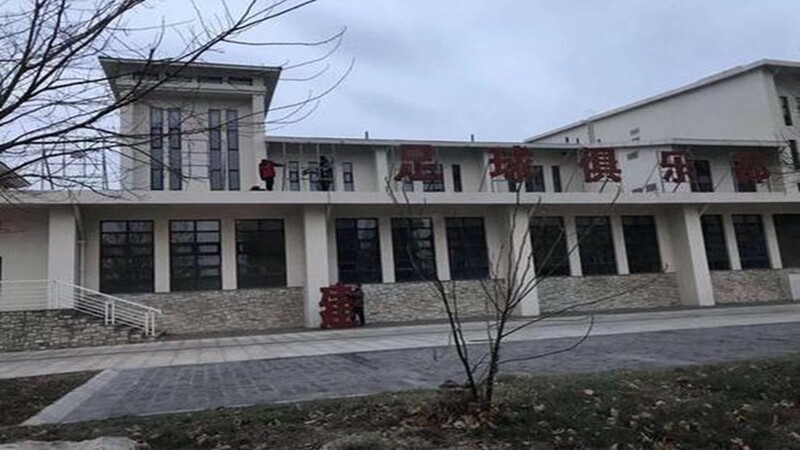 On 25th December 2018, an article from a medical consultancy platform Dingxiang Doctor revealed Quanjian Group’s false marketing and its subsequent damage to Chinese families. It introduced a tragedy of 4 years old girl Zhou Yang whose family believed and purchased Quanjian’s anti-cancer herbal medicine and the girl died due to the ineffectiveness of Quanjian’s medicine. The article was soon spread out in China and Quanjian became the target of media. More dark sides of Quanjian’s business were unfolded including their herbal medicine, healthcare products and therapy centres. Despite ineffectiveness of their products, they applied the false marketing and pyramid selling system to cheat customers and expand their business. On 1st January 2019, Tianjin local government announced their investigation of Quanjian Group. On 13th January 2019, the chairman Shu Yuhui and other top managers of Quanjian Group were arrested for organizing pyramid selling scam and false advertising. The healthcare empire collapsed. As a subsidiary of Quanjian Group, the Quanjian FC faced dissolution as their holding company does not exist anymore. Tianjin government took over the club for now and changed the club title to Tianjin Tianhai FC. The government will run the club to participate the following CSL season and meantime try to find new investors for the club. However, finding new investors can be very hard as only few powerful companies in Tianjin can afford the expenses of participating CSL. Figure 1: Staff demolishing the signs of Quanjian at Tianjin Tianhai FC. The bigger problem for Tianhai FC now is facing the budget issue as their capital resources are gone. The budget of the club cannot enable them to run 2019 season at their current expense level. Therefore, club rescinded the contract with pre-signed coach Kang-heui Choi and his coaching team as they cannot afford the salaries. It is reported that club is planning to sell valuable and highly paid players for revenue generation and expenses saving. Where will the Tianhai FC end up is uncertain but the Quanjian FC certainly became history. The name of Quanjian has been removed from the Chinese football industry along with the collapse of the Quanjian Group. The club that evolved in 3 years disappeared in 3 weeks, leaving a star-featured squad waiting to be broke up. The drama of Quanjian leads to the discussion of the ownership of Chinese football clubs. The tie between the investors and football clubs in China are much closer than European clubs. On the upside, such ownership can be very effective and efficient for football clubs to grow in a short period of time as the decision-making process is simple and the capital support is direct. On the downside, the fate of football clubs depends on the competence, strategy and development of their holding companies which means unsustainability and risks. Before the blow of legal investigation, the investment in the football club has been a win-win business for Quanjian Group. Club has evolved from a second tire team to a CSL team and being competitive in Asia, thanks to the massive capital injection and transfer spending from the owner. On the other hand, Quanjian Group got huge brand exposures and hence achieved significant profit increase. This pointed out the issue that even football club has been doing well and done nothing wrong, the club is affected due to the illegal behaviours of its owner Quanjian Group. When the chairman Shu Yuhui was arrested, the team of Quanjian FC were training in Abu Dhabi to prepare the new season and suddenly they were told that the club has been taken over by the government and they might be sold to other clubs. The club, the coaches and players, the fans, they have not involved in any part of Quanjian’s scandal but they are suffering from it. Because the ownership type, Quanjian FC is a subsidiary of the Quanjian Group hence the club was administrated by the government as part of Quanjian Group. Therefore, the argument here that the football club should be more independent to its investing company. Football clubs should not be punished for the sins of their owners like in this Quanjian case. There are two procedures could be taken to prevent similar circumstances in future. First one is to implement the football clubs’ ownership structure by introducing new and clear regulations and legal standards. The football clubs should be more legally independent to their investors and owning companies. For example, Roman Abramovich has not been granted new UK visa and targeted by UK government for oligarchy but his Chelsea FC has not been affected at all. The Chinese government and relevant institutions like the Chinese Football Association need to work out how to separate the legal responsibilities between football clubs and their owners. The other precaution is to undertake background check of investors before their investments. As early as Quanjian Group announced their acquisition of football club, the public had voices that the company was involved in illegal business practices. In fact, Quanjian Group has applied pyramid selling and false marketing long before their investment in football. Thus, the question is where was the supervision then? There needs to be an investigation of the legitimacy of the football investors when they attempt to get into this industry. The difficulties of new regulations and supervision can be estimated. For example, which government departments and sports institutions should be responsible for these actions? Where the line should be drawn between the football clubs and investors for legal responsibilities? It will no doubt take time to tackle these problems but the discussions and study are needed. The case of Quanjian is not only a shock to Chinese football industry but it revealed the risks of Chinese football club’s ownership. It raised challenges for authorities, football professionals and football researchers to implement a more sustainable and healthy ownership type of football clubs. Previous Calling all football historians!